Westside Station is one of our premier communities in Atlanta’s eclectic West Midtown. Since it’s grand opening, Westside Station has continued to draw new homebuyers. 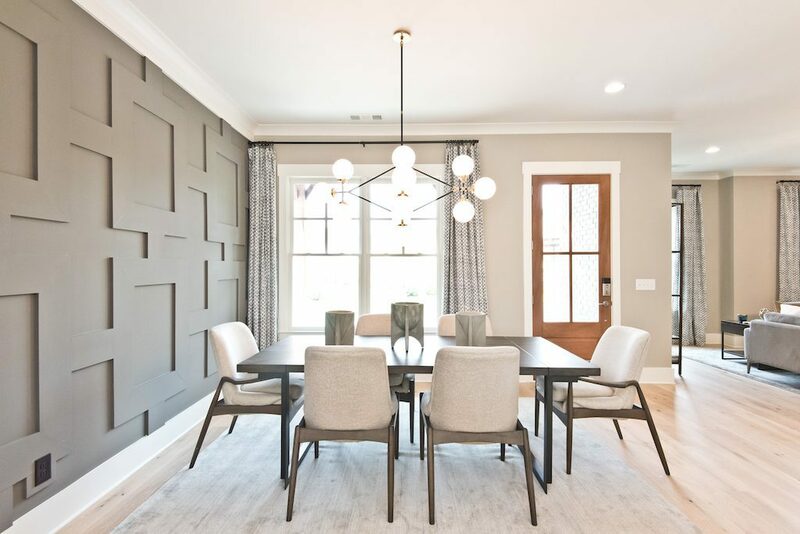 With many homebuyers looking to find their new home in this vibrant area of Atlanta, we’re excited to announce our newly decorated model home. 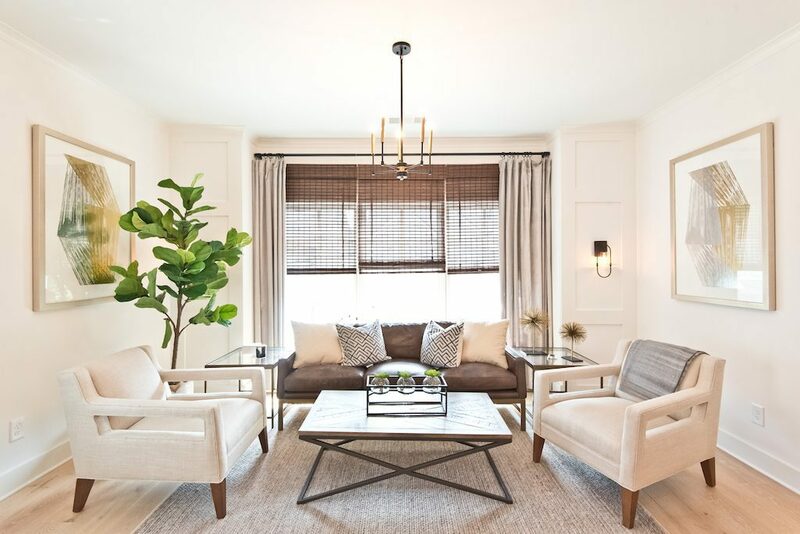 This new model is the first single-family model home in Westside Station. 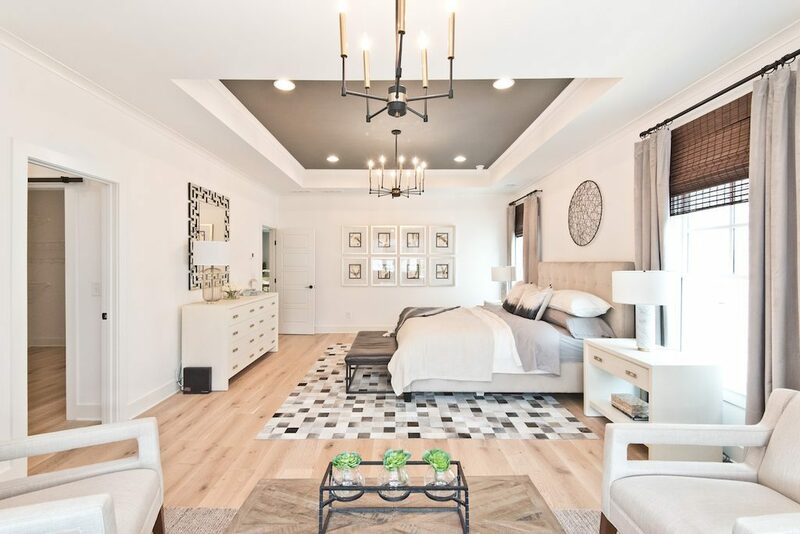 Alongside our model townhome, this new model home displays some of our most luxurious finishes. Here’s your exclusive model home preview of the newly decorated single family home at Westside Station. The first floor of our new decorated model home provides an open concept floor plan. Ideal for functional living, it’s ideal for both entertaining friends as well as hosting your family at the holidays. 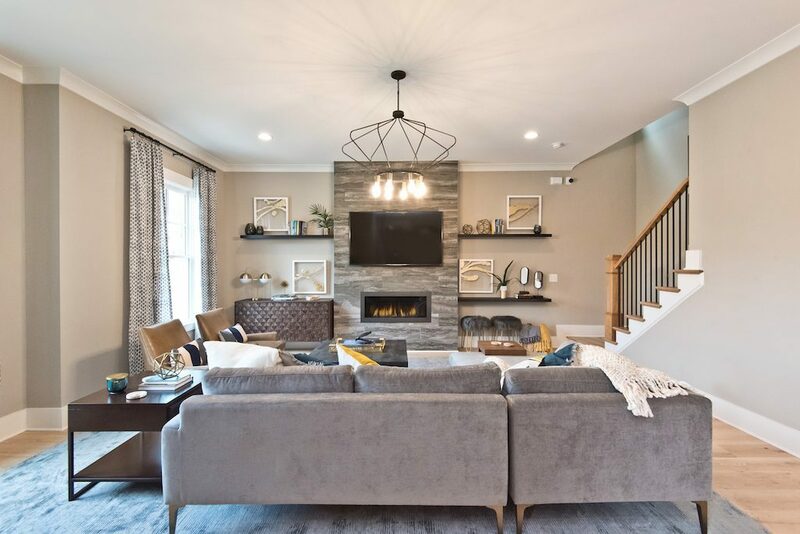 Immediately upon entering the home, you’re greeted by a fireside family room. With large windows, it’s the perfect place to have a conversation or read a book while enjoying some natural sunlight. On the opposite side of the entrance, there is a beautiful modern dining room. Further into the home, the gourmet kitchen has an oversized island and breakfast bar. Along with Energy Star appliances, the kitchen also has custom built-ins and cabinetry. Another standout feature on the first floor is a sunroom area. The second floor of our newly decorated model is a refreshing retreat for rest and relaxation. It houses the master suite as well as the two secondary bedrooms and laundry room. The luxurious master suite includes both an oversized sleeping area as well as a separate sitting area. 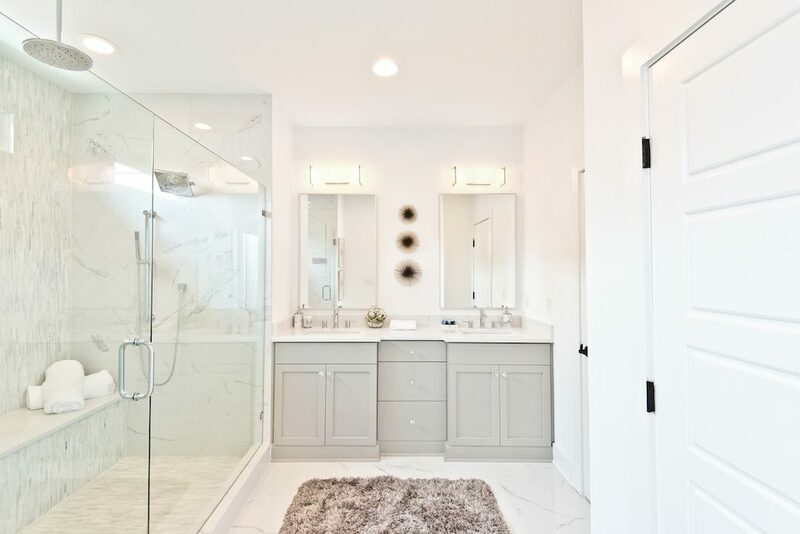 Additionally, the owner’s suite has a spa-inspired master bath with his and hers walk-in closets. The two secondary bedrooms also have spacious layouts with their own full bathrooms. In addition to our newly decorated single-family model home, we’re excited to announce the opening of Westside Station’s neighborhood amenities. 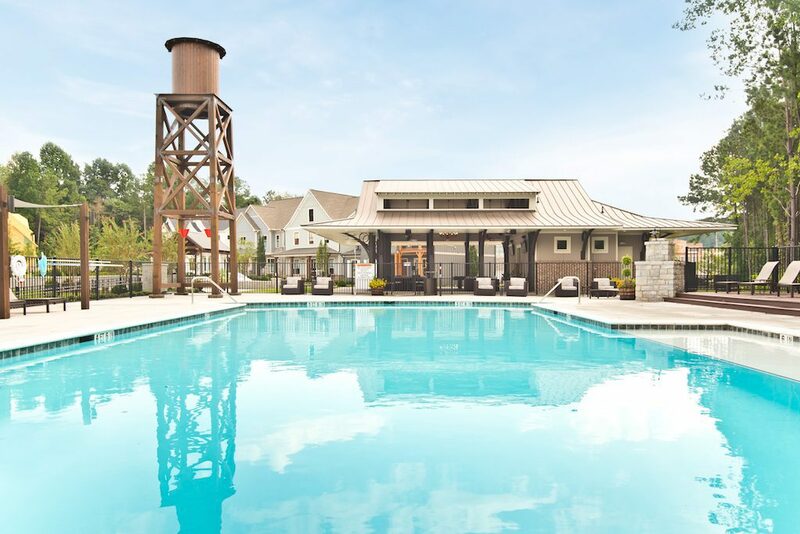 These include the open-air clubhouse, resort-quality pool, and nature trail. To learn more about Westside Station, visit our Sales Center Monday – Friday from 11am to 6pm. We are also open on the weekend from 10am – 6pm on Saturday and 12pm – 6pm on Sunday. 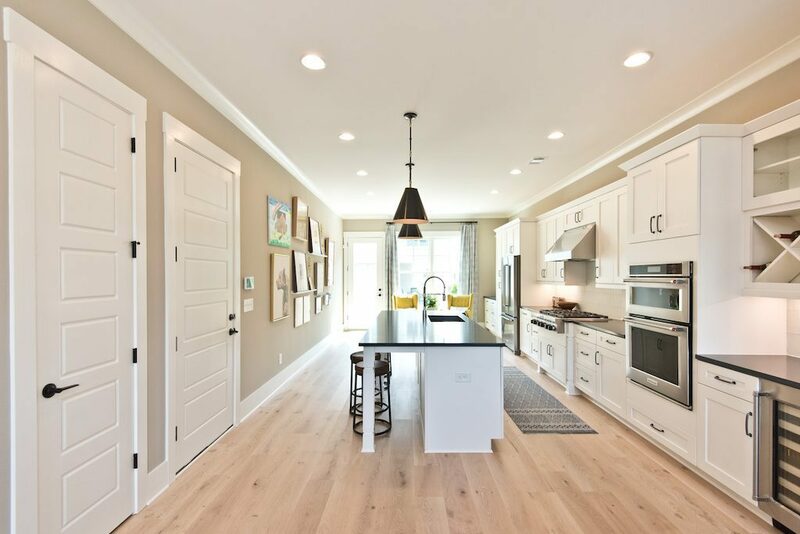 Contact Onsite Sales Agent Ansley Brooks to schedule your appointment to tour Westside Station’s newly decorated model home today.